Patea township beside the Patea River. Mt Taranaki visible behind. 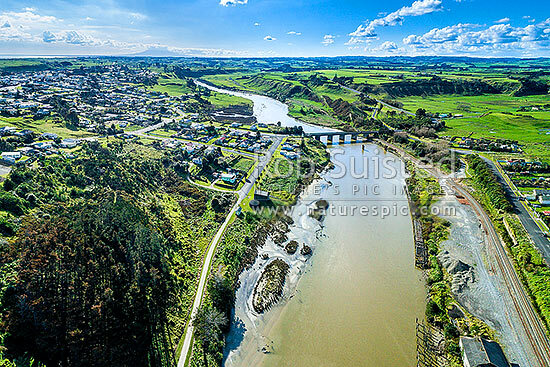 Aerial view looking upstream over old wharves and farmland, Patea, South Taranaki District, Taranaki Region, New Zealand (NZ), stock photo.